Author dmassiplitigationPosted on January 18, 2019 Categories Complaint, CopyrightLeave a comment on Rice v. SAJ Technologies, Inc. (19-cv-10103); Wolman v. Glide Publishing, LLC (19-cv-10104); Adler v. Her Campus Media, LLC (19-cv-10087); Mantel v. Internet ROI, Inc. (19-cv-10092); Miller v. Gorilla Radio, LLC (19-cv-10093); Craine v. Better Publishing, LLC (19-cv-10094); Cancian v. Carroll Enterprises, Inc. (19-cv-40013). ALMO Music Corp. et al. v. Vincent Hemmeter, Inc. d/b/a/ Ralph’s Rock Diner a/k/a Ralph’s et al. (18-cv-40188). ALMO Music, and several other music companies, sued Worcester’s Ralph’s Rock Diner, accusing the venue of allowing the performance of copyrighted, unlicensed works by visiting artists. The plaintiffs, all members of ASCAP, allege that Ralph’s has repeatedly refused ASCAP’s licensing offers, but allowed the performance of several works in early August, 2018 that plaintiffs own copyright in. Somewhat unusually, ASCAP itself is not named as a plaintiff, with the copyright owners going it alone. Plaintiffs seek statutory damages and costs and fees as well as injunctive relief. Author dmassiplitigationPosted on November 12, 2018 Categories Complaint, CopyrightLeave a comment on ALMO Music Corp. et al. v. Vincent Hemmeter, Inc. d/b/a/ Ralph’s Rock Diner a/k/a Ralph’s et al. (18-cv-40188). Author dmassiplitigationPosted on October 31, 2018 Categories Complaint, CopyrightLeave a comment on Pierson v. Middleboro Restaurants, Inc. d/b/a Barrett’s Fireside Grille 918-cv-12268). Stross v. IvyMedia Corporation et al. (18-cv-10240). After photographer Alexander Stross sued Ivymedia for copyright infringement relating to IvyMedia’s alleged use of a Stross photograph in its on-line advertising, Judge Sorokin denied IvyMedia’s motion to dismiss for failure to state a claim on which relief could be granted. IvyMedia subsequently answered and counterclaimed for extortion and fraud. Stross moved to dismiss the counterclaims as being legally and factually baseless and designed to drive up the costs of litigation. Stross further sought an award of attorneys’ fees as a sanction for IvyMedia’s continued baseless motion practice. Judge Sorokin granted Stross’ motions and awarded Stross $9671.09 in fees and costs in connection with the motion to dismiss. Author dmassiplitigationPosted on October 25, 2018 Categories Copyright, Motion to Dismiss, Sanctions, Sorokin, UncategorizedLeave a comment on Stross v. IvyMedia Corporation et al. (18-cv-10240). DiscoverOrg, LLC v. Timlin Enterprises, Inc. (18-cv-12002). DiscoverOrg, a company that provides business-to-business marketing data, sued Timlin Enterprises for copyright infringement. DiscoverOrg provides its marketing information to customers through a password-protected on-line user interface. According to the complaint, a Timlin employee accessed the database while employed by a licensed company, downloaded the data, and took it with him when he moved on to work for Timlin. A second person, meanwhile, who worked with the first accessed the database from their new, licensed company, and the data made its way to the first employee now working for Timlin. DiscoverOrg asserts that Timlin knowingly used the misappropriated data in marketing efforts. In addition to copyright infringement, DiscoverOrg asserts federal and state trade secret misappropriation (the state claim under Washington law, as DiscoverOrg is a Washington-based company), unjust enrichment, tortious interference with contractual relations, negligence for failure to properly train and supervise its employees regarding misappropriation of trade secrets, and violation of Ch. 93A. The case was assigned to Judge Zobel. Author dmassiplitigationPosted on September 27, 2018 September 27, 2018 Categories Complaint, Copyright, Trade Secret, Unfair business practice, ZobelLeave a comment on DiscoverOrg, LLC v. Timlin Enterprises, Inc. (18-cv-12002). Barth v. United States (18-cv-12001). 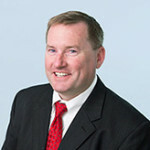 Maine resident John S. Barth, Jr., filed a pro se complaint against the United States and several individual defendants in connection with Barth’s alleged copyright infringement claims. Barth wrote a novel, The National Memorial, which was published in 2015. After sales were flat, Barth discovered a number of outlets offering low or no-cost digital versions on-line. In 2017, Barth instituted a lawsuit against several individuals and companies in the Central District of California, claiming copyright infringement and violation of the Racketeer influenced and Corrupt Organizations Act (“RICO”). He sought to file the complaint under seal, and to undertake RICO-related discovery under seal to ascertain the entities or individuals who owned and operated the relevant websites, most of which were registered under false names, and the locations of their servers. He also filed a motion for discovery assistance, seeking assistance from federal agencies in obtaining this information. Judge Olguin denied the request that the complaint and discovery-related documents be accepted under seal and published the documents on PACER. Judge Olguin denied several follow-up motions to seal the information as well as a motion to disqualify himself. Barth now claims that the actions of Judge Olguin constitute willful collusion with the defendants in that it allowed them to transfer evidence and funds outside of the jurisdiction of the United States, denying Barth just compensation for his claims. Barth presses copyright infringement claims and RICO violations against the individual defendants, and brings a count against the United States for compensation for the taking of his private property, namely (as near as I can decipher) his right to bring the California case under seal. Judge Stearns has the pleasure of untangling this mess. Author dmassiplitigationPosted on September 24, 2018 Categories Complaint, Copyright, StearnsLeave a comment on Barth v. United States (18-cv-12001).